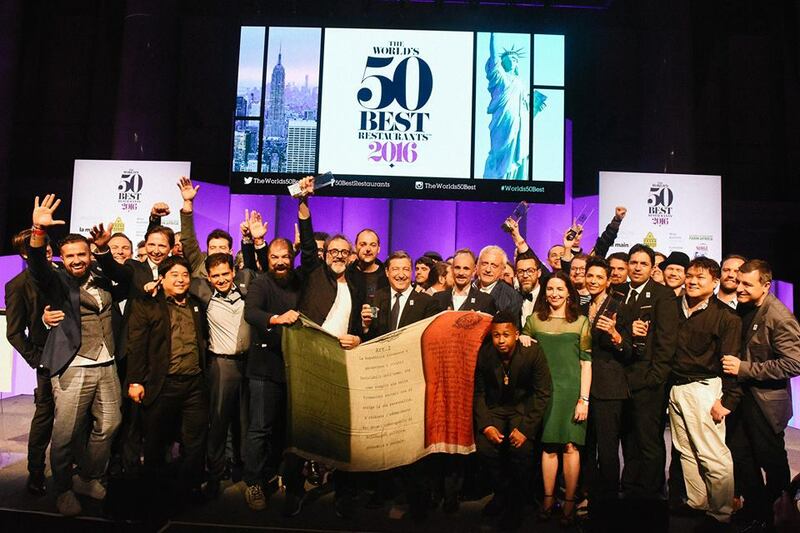 The winners of past editions of “The World's 50 Best Restaurants” were Massimo Bottura’s Osteria Francescana (2016, 2018), Ferran Adrià’s El Bulli (2002, 2006-2009), Thomas Keller’s The French Laundry (2003-2004), Heston Blumenthal’s The Fat Duck (2005), the René Redzepi’s Noma (2010-2012, 2014), the Roca Brothers El Celler de Can Roca (2013, 2015) and Daniel Humm’s Eleven Madison Park (2017). These are the "Best of the Best" that starting from the 2019 issue, which will be held, for the first time in Singapore, will no longer be in the running to receive the crown for the best restaurant in the world. This is a real revolution for the most prestigious and anticipated ranking in the catering world, as it now aims to bring out young and talented chefs who, behind the giants, are champing at the bit to reach the top. The criterion that makes up the composition of the Academy has also been redefined in a true “Manifesto”. The Academy will be composed, as always, of 1.000 judges from all over the world, and perfectly balanced among genders: 34% chefs and restaurateurs, 33% food writers and 33% gourmet globetrotters. Each category will have 10 votes available, including a maximum of 6 restaurants in the same geographical region (there are 26 total), and each area is represented by a maximum of 40 voters. There will also be a fixed minimum quota, 25% of the total, of voters that will be renewed each year. The voted restaurants (not the chefs or the owners...) will be positioned in order of preference, and the visit must have taken place, and certified, within the last 18 months, with no restrictions or obligations regarding the type of locale. Deloitte, the most important review agency, will confirm the authenticity of the vote.